We always put electrical safety first for both living and working environments and we are qualified to conduct electrical inspections on homes, rented properties and businesses. These involve extensive testing procedures to ensure that potential accidents are avoided and that family members, tenants or employees are protected from possible hazards. Of course, in some circumstances health and safety regulations must be complied with for legal reasons, however, we find that regular tests also give our commercial and domestic customers peace of mind that their electrical installations are completely safe. What level of electrical testing? The requirements for electrical inspection and testing differ according to the status of the property. Our experienced electricians are fully qualified to provide advice about the current regulations and the level of testing that will apply to your property. We are also happy to give further guidance on the most appropriate testing procedures to ensure complete safety. Many businesses and individuals ask us to carry out Portable Appliance Testing (PAT). This is to ensure that electrical equipment and appliances used daily are safe and fit for purpose. While businesses must comply with this legal requirement, our personal recommendation is that individuals should also have their personal portable electrical appliances checked regularly. The regulations for electrical systems and appliances are subject to British Standards, and at Cromer Electrical we keep fully up to date with the latest amendments to the IET (formerly IEE) Wiring Regulations. In 2011, the 2008 version of BS 7671 was overhauled and Amendment 1 was added. Fully complying with the regulations we provide a reliable and trustworthy service using top quality testing equipment to ensure the continuing safety of our customers and their property. 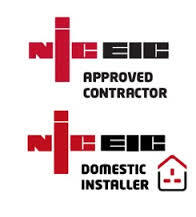 To speak to a member of our team call Cromer Electrical Ltd on 01263513681.